Hotshot will help you quickly access a selection of image enhancement controls through one easy-to-use dialog, providing a whole range of features from subtle colour correction to more dynamic effects for added impact or artistic results. Fluoron is based on a kind of ultra-violet or fluorescent style colour shift but also offers many other variations for interesting results. Alienator takes an alternative approach to colour modification effects by generating random combinations of many hidden variables to produce unusual and unpredictable results. Vivida provides a quick and easy way to boost the brightness, contrast and saturation values in each individual channel of your image. 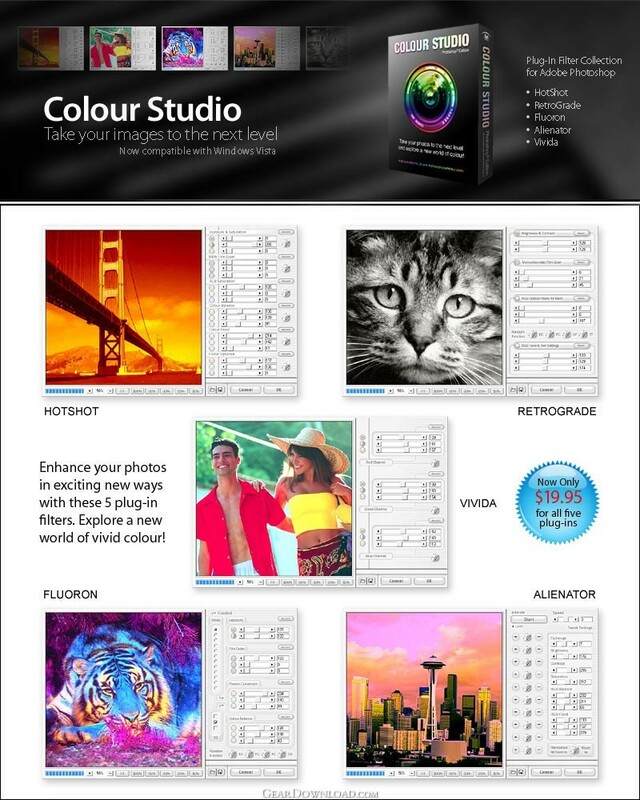 Ideal for when you need to add impact to any photos that are underexposed or have dull lifeless colours. This download (CSDemo-Setup.exe) was tested thoroughly and was found 100% clean. Click "Report Spyware" link on the top if you found this software contains any form of malware, including but not limited to: spyware, viruses, trojans and backdoors. Image Inc. 1.2 - Blend images using a layer mask for transparency. Pulp Styler 1.2 - Convert your photos into artistic illustrations! Graphic Styler 1.1 - Convert your photos and renders into artistic illustrations!